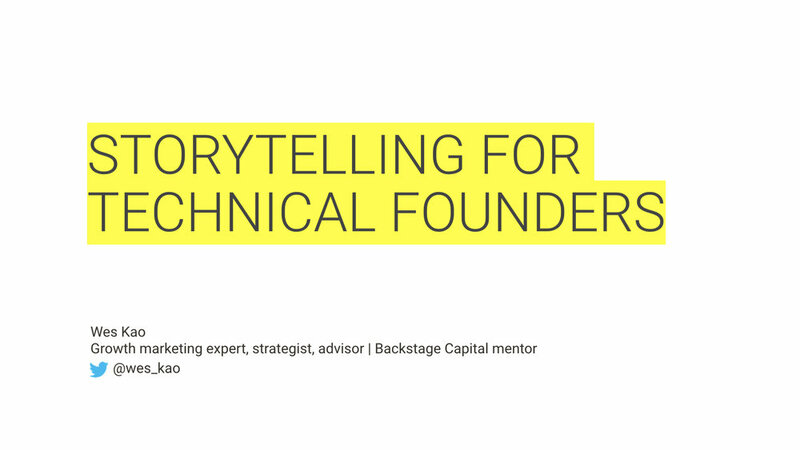 Thanks for attending “Storytelling for Technical Founders” by Wes Kao. Instead of slides (that no one looks at), here’s a printable checklist to help you remember what you learned. Enter your email below to get access to the checklist. You’ll also receive my free bi-weekly newsletter. Unsubscribe anytime.